After spending 20 years in the electrical industry I have seen many electrical problems overlooked by home inspections says Bob Charvoz the president of AAPI. All of our inspectors have to be trained well beyond the normal training that all other common inspectors are. We conduct an inspection much more in depth than what is required and what other inspection company normally consider standard. 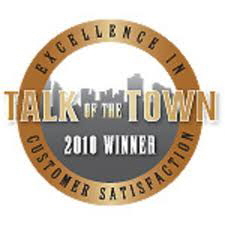 A well educated inspector can save you thousands in future repairs after you close on your new property. An electrical inspection is an inspection which will help ensure that all electrical systems and wires in a building meet legal safety standards. 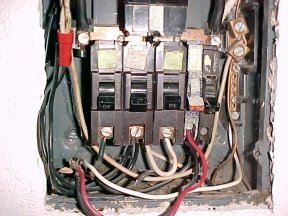 There is a national electric code, which the inspector may refer to when determining whether a certain electrical installation is acceptable. In some cases, an electrical inspection, or even multiple new construction inspections, will be included with an electric permit review on new construction. With our company you get a well trained professional inspector digging into the electrical system looking past the surface to the heart of the electrical system. Most Inspectors don't receive the training that we provide and don't know what to look for. 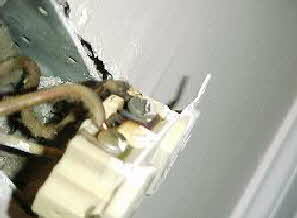 Aluminum wiring loosens with use at connectors causing arcing and burning over time, outlets heat up and burn. Can start a fire at the outlets, switches and fixtures inside the walls and ceilings, you may see smoke and hear bussing sound as signs of problems. Let us get there first. Here is a good example of a Knob and Tube wiring system. 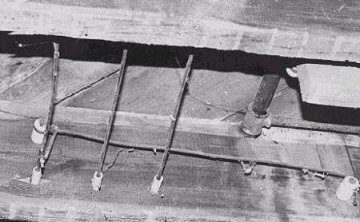 This is the type of wiring systems most homes have when build in the 30’s 40’s and 50’s. Your inspector will look for any signs that this type of system is still in uses in the home your buying. Can be a fire hazard. We found breaker burnt on the back side connection to the buss bar, could have caused a fire. This is one of the most common problems we find at most all structures. 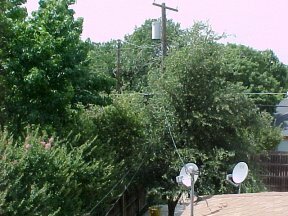 The trees and bushes are all over the service cable. 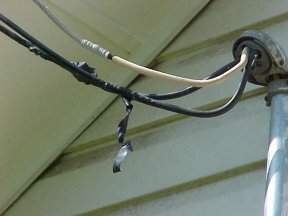 This can pull the service cable right off the house during a storm and high winds. You may want to go out and check yours right now. 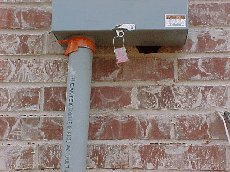 Main meter base has hole in wall. When box was removed found that main wiring leads had cuts in the insulation, could cause a fire. Badly burned breaker panel found at a vacant property. We found that this panel had many problems, one of which could cause an electrical fire in the panel. Can you spot the double wired breaker. The circuit showed signs of melting insulation and past arcing. Simple instruction to install wire at an outlet. FPE is not the only problem. Other manufacturers such as the Zinsco brand are also prone to failure. During a typical year, home electrical problems account for 67,800 fires, 485 deaths, and $868 million in property losses. Home electrical wiring causes twice as many fires as electrical appliances. - United States Fire Administration. 4. lights dim or go from bright to dim when turned on. 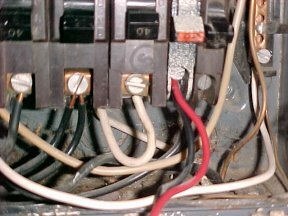 If you have noticed any of the trouble signs, have a qualified electrician determine the cause of the problem. more unsafe by disturbing it. Because of the dangers of the electrical system we recommend an inspection of the system every 2 years, we can do this for you at a lower cost that an electrician and let you know if you should spend the money to hire a electrician. 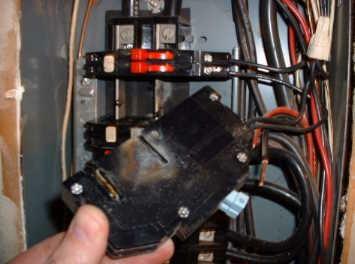 An inspection could be even more important if you have a older electrical system.